Joanne Freeman of Yale University and Nathan Connolly of Johns Hopkins University will join BackStory in 2017. Freeman and Connolly will co-host alongside Ed Ayers and Brian Balogh beginning February 3. American author to win either the Kenneth T. Jackson Book Award from the Urban History Association or the Bennett H. Wall Award from the Southern Historical Association. Connolly is also the co-author of “Trump Syllabus 2.0” and the first black U.S. historian to earn tenure at Johns Hopkins. Longtime host Peter Onuf will continue to contribute to the program. distributing. With the addition of two more hosts, the show will also benefit from the new perspectives Freeman and Connolly will bring. BackStory relaunches with new episodes in 2017. 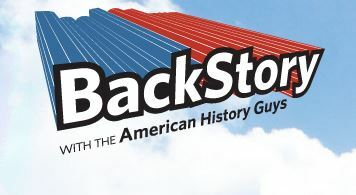 BackStory with the American History Guys brings historical perspective to the America of today. Each week, U.S. historians Ed Ayers, Brian Balogh, Joanne Freeman and Nathan Connolly look at current issues and trace them back to their roots in American history. From the days of the Early Republic to the 21st century, BackStory reveals the connections (and disconnections) between the past and the present. BackStory makes history accessible for listeners – not only in the United States, but around the globe. BackStory with the American History Guys is freely available on iTunes, SoundCloud, Stitcher or other favorite podcast apps.